Shengyou Toile is based on a priceless 18th-century document in Schumacher's archives by court painter Jean-Baptiste Pillement. Hand-drawn and engraved, this pattern has rich dimension. For the first time Pantone has forecasted two shades as their ‘Color of the Year’. This year’s selections are Rose Quartz #13-1520, a pale pink, and Serenity #15-3919 which is baby blue, which may be good news for expectant parents! According to a press release, the two colors are "a harmonious pairing of inviting shades that embody a mindset of tranquility and inner peace." For interiors, Pantone projects the combination of Rose Quartz and Serenity will bring a sense of calm and relaxation to the home. The color institute says the two shades are ideal for rugs and upholstery, and should also be prevalent in paint and decorative accessories. In selecting the Color of the Year, Pantone explores influences in the entertainment industry and films in production, traveling art collections and new artists, fashion, all areas of design, popular travel destinations, as well as new lifestyles, playstyles and socio-economic conditions. Influences may also stem from new technologies, materials, textures and effects that impact color, relevant social media platforms and even up-coming sporting events. 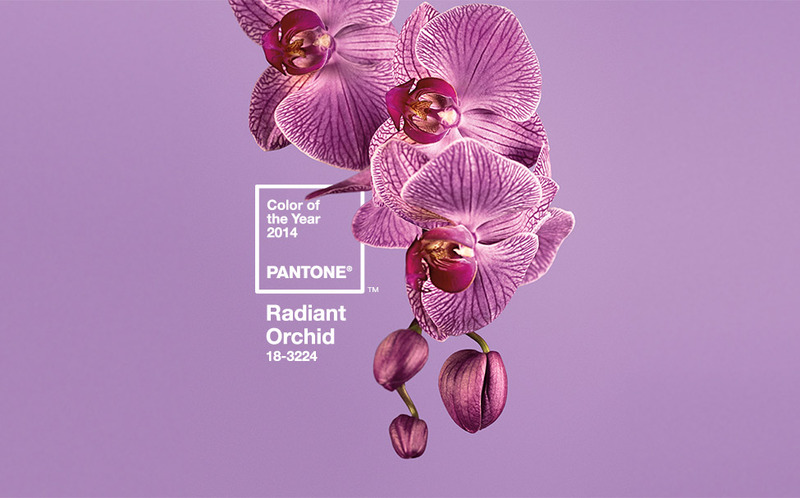 Pantone, the global authority on colour, released Radiant Orchid as the 2014 Colour of the Year…a vibrant, royal, papal hue with Fuchsia, Purple, and Pink undertones that invigorates everything it covers. From hair colour to household kitchen equipment, Radiant Orchid is the on trend hue. Embrace this colour without breaking your budget by painting an accent wall, or add throw pillows to make your room pop with a burst of colour. If this colour really floats your boat, make a real commitment and go wild – saturating your space from the floor to the ceiling with varying shades. Beautiful and adaptive, Radiant Orchid will spruce up your space and compliment shades of Olive, Buttermilk, Gold, Teal, Orange, Grey, Lavender, Pink, and smoky soft blues to create a statement-making space. 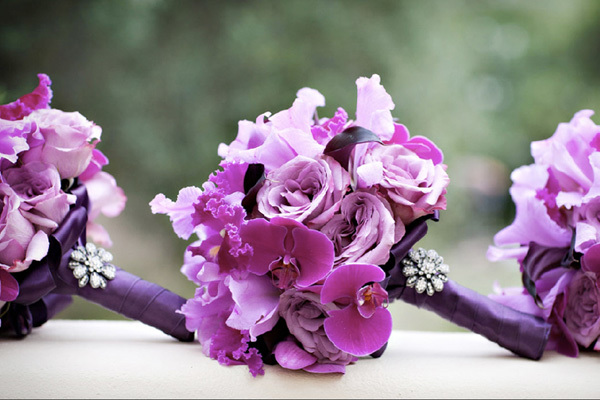 The colour purple is synonymous with royalty, luxury, dignity, wisdom, spirituality, passion, vision, magic, wealth, sophistication, and intelligence. Be sure to check out our Colour Palette: Purple Reign for some exciting products that incorporate this exhilarating Colour of the Year.